It can be bad enough for a person who suffers from migraines that are triggered by stress. Migraines that are triggered by a post-stress reduction in cortisol can be even more frustrating. After all, who wants to finally get through a stressful situation only to immediately get hit with a migraine? Why do “let-down” migraines occur? Can you find treatment outside of a pill bottle? A study was performed that involved having migraine patients keep an electronic diary of what led up to attacks. The results were surprising. 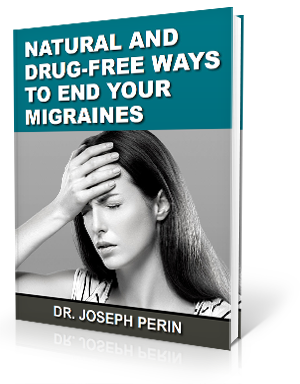 The study revealed that the risk of a migraine increased nearly 500% during the first 6 hours after a stressful situation resolved. During times of stress, the body produces a hormone called cortisol. This hormone is an internal pain reliever. When stress levels normalize, the body stops producing excessive amounts of cortisol. Researchers believe this sudden hormone change to be the migraine trigger. Let-down migraines after being under a great deal of stress can be reduced by trying to limit stress as much as possible. This can be done through a proper sleep schedule, regular exercise, relaxing hobbies, and good time-management. You also want to be sure that your central nervous system is operating optimally. That means having a properly aligned upper cervical spine. At Balanced Living Chiropractic in Vancouver, Washington, we find that many of our patients see positive results in migraine management. One outstanding example can be read on our Success Stories page. Courtney suffered from migraines for over 15 years before finding our practice. By her third visit, she noticed dramatic results and ultimately no longer needed her migraine medication. If migraines are holding you back from enjoying life to full, call to set up an appointment and find out what upper cervical chiropractic can do to help you get your life back. What Exactly Is Vertigo and Is Natural Relief Available?